There is so much talk about the benefits of a ketogenic diet and its ability to improve fat burning, brain health, energy and anti-aging. The main units of energy on a ketogenic diet are ketone bodies, of which beta hydroxybutyrate (BHB) is the main player! This article will go over the health benefits of BHB and exogenous ketones. 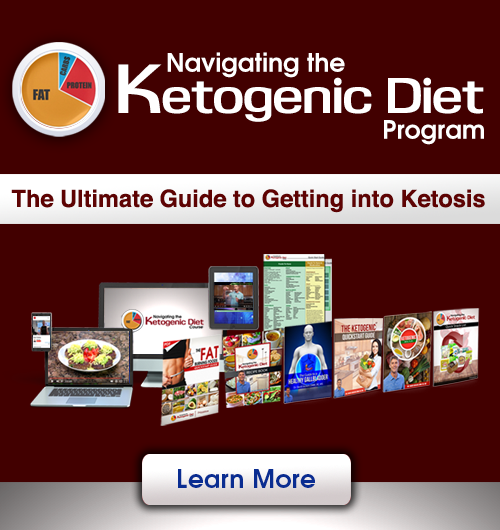 Additionally, this article will cover strategies on using exogenous ketones in your daily life. From a technical standpoint, BHB is not a ketone body, but it acts in a similar fashion as ketone bodies from a therapeutic perspective. The chemistry of BHB is that of a carboxylic acid as the carbonyl group (C=O) is bound to an -OH group instead of 2 carbon atoms. From a chemistry perspective, ketones are carbonyl carbons (C=O) that are bonded with 2 carbon atoms. One carbon has 4 available bonding spots. In a ketone, one spot is double bonded to oxygen and there are 2 single bonds to carbon. This is just chemistry talk however, as BHB acts from a physiological perspective as a ketone. The other 2 ketones we find produced in the body include acetone and acetoacetic acid. How Does the Body Make BHB? BHB and other ketones are made in the body as a byproduct of fat metabolism. 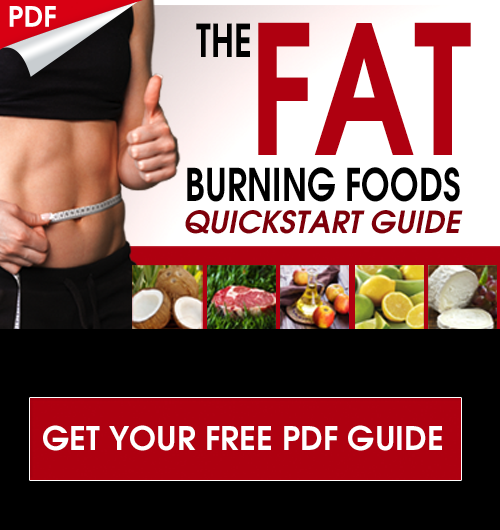 BHB is a measure of how the body is using fat as fuel. When blood sugar lowers due to a low carbohydrate diet or fasting periods, the liver begins to produce BHB from medium and long chain fatty acids that come in from our diet or from our stored fat tissue (1). You can measure BHB in the blood to find out how much your body is producing. When the body makes BHB it is called endogenous ketone production. Endomeans from within and genous means formation. When you take supplemental BHB it is called exogenous ketone production. Exomeans from outside-in. What Does BHB Do For Our Body? 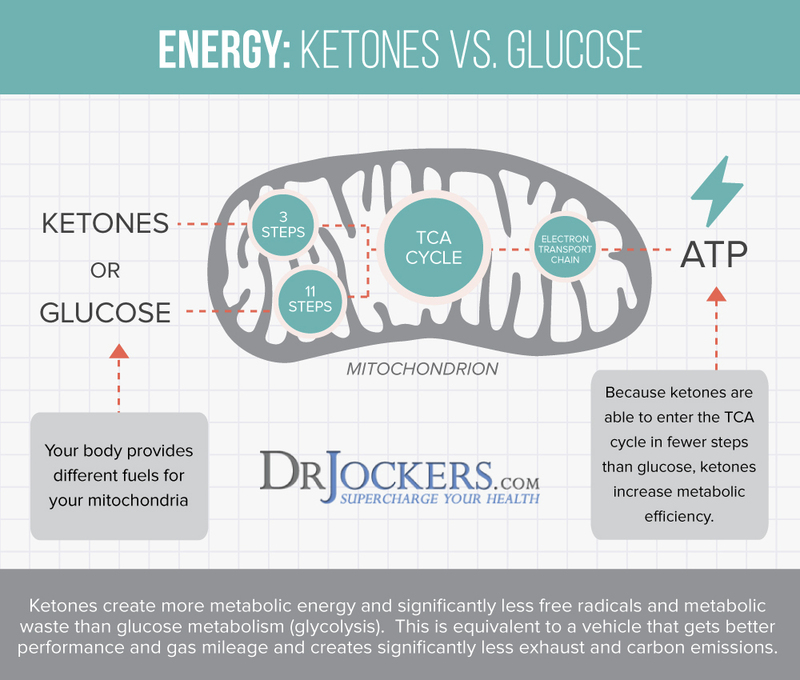 The body can use 2 major forms of energy, glucose and ketones. When blood glucose goes down, the body turns to ketones such as BHB as a form of energy the body uses to fuel the muscles, organs and brain (2). Ketones are very clean energy sources as they produce far less metabolic waste and free radicals than glucose metabolism. Additionally, ketones such as BHB produce far more energy per compound than glucose. Scientists used to think that the brain could only use glucose as energy and as glucose dropped, brain function would decrease. However, the latest science has made it clear that ketones such as BHB are able to cross through the tight blood brain barrier and bring energy to the neurological tissue (3). Ketones can make up about 65% of the brain’s energy demands during times of starvation or extended fasts or individuals in deep ketosis. Although there are 2 other major ketones (acetone and acetoacetic acid), BHB is the one that is able to cross through a wide variety of barriers in the body to get into the cells and be used as energy. 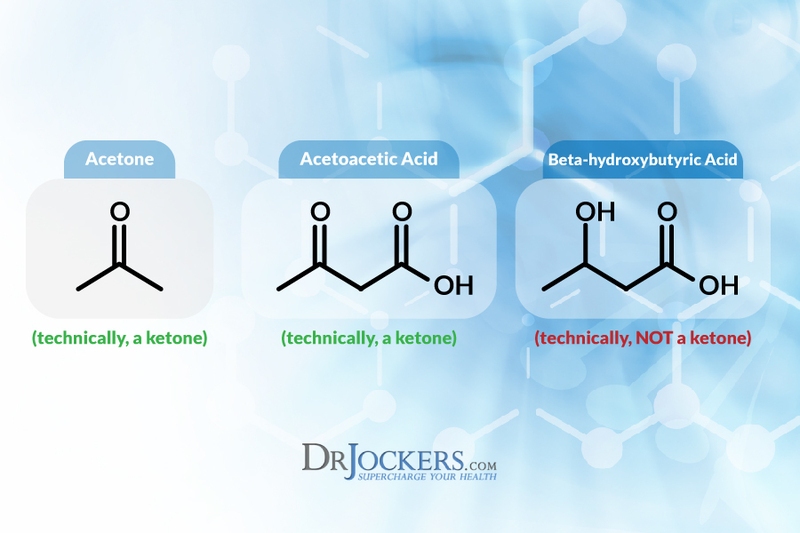 Much of the other ketones are lost in the urine and breath. How Does BHB Make Energy in the Body? The outer surface of every cell of the body is a lipid or fat bilayer. Glucose is carried into cells by the hormone insulin and its interaction with the insulin receptor on the cell surface. Ketones on the other hand do not depend upon a hormone carrier and are able to fuse into the cell and goes into the mitochondria, which is the energy furnace of the cell. The mitochondria are the main parts of the cell that take chemical compounds and produce electrical energy to drive cellular function. Within the mitochondria, BHB cleaves the carboxyl acid and becomes another ketone called acetoacetate. Acetoacetate then adds a CoA group and forms acetoacetyl-CoA. This then becomes acetone and then acetyl-CoA. Acetyl-CoA goes into the Krebs cycle where it is used to produce ATP to fuel the cells. ATP is the major component of all energy production. So when we use BHB to produce ATP, it is very metabolically clean, cost us very little cellular energy and produces a rampant amount of free energy to be used! New technology has enabled us to manufacture BHB to mimic those created in the body in a safe and effective supplemental form. The BHB works best when it is attached to a mineral compound such as sodium, potassium, calcium or magnesium to form a ketone salt. When you consume this, it is in a form the body recognizes and it cleaves the bond between the mineral salt and the BHB. The mineral is used by the body in a similar fashion as when we eat it in food and the BHB goes directly into the blood stream where it can interact and move into cells to be used as energy. Taking supplemental ketones (exogenous ketones) will help the body to get into physiological ketosis within minutes. It will also help the body to adapt to using ketones as an energy source much more quickly than doing it by diet alone. This allows the body to use ketones as an energy source immediately and without the challenging side effects associated with keto-adaptation. This would include the “keto-flu,” brain fog, keto breath and more. Most people do very well taking supplemental BHB on a daily basis to improve their energy and support higher level memory and overall brain function. Post Carb Meals: After a higher carbohydrate meal in order to reduce the negative effects of blood sugar imbalances and get back into a state of ketosis. Pre-Workout: Before a workout for more energy and better overall strength and performance. Testing BHB levels in the blood is simple but can get pricey if you are doing it many times a day. The Precision Xtra blood glucose and ketone meter is a good buy at $28-$30. The expensive part is the ketone test strips here which can cost $4 each. If you are looking at testing yourself every day it is going to cost you $120 a month and the $30 meter. Here is a starter kit you can get on Amazon. Most people will enter into a light nutritional ketosis (between 0.5-1.0 mmol/L on the meter) within two or three days. It typically takes two to three weeks to get into a stable and optimal ketosis of 1.5-3.0 mmol/L (4). This test is slightly invasive as you have to prick your blood and wipe it onto the strip. But it is a test you can do from home anytime you like. What is the Safety of BHB? BHB is safe when the body produces it under normal circumstances and when it is used as a supplement (5). The only individuals who have risk with BHB would be uncontrolled diabetics as they risk going into a state of ketoacidosis. Our bodies have adapted since the beginning of mankind to be able to produce BHB and use it as an efficient fuel source when food was scarce which has allowed humanity to survive food shortages and other circumstances where access to dietary carbohydrates are limited. There are whole populations in the Northern latitudes that spend most of their lives in a perpetual state of ketosis due to the lack of vegetation available to them. They live off of fatty fish, whale blubber and other fatty animal foods native to those regions. Uncontrolled diabetics may face some risks in using exogenous ketones. This is because when the body is unable to produce insulin (type I diabetics and extreme type II diabetics), it is unable to get sugar or glucose into the cells. Therefore, the body will start producing ketones. If these individuals do not use an insulin injection, they can overtime build up unsafe levels of ketones (6). The unsafe levels of ketones are exponentially higher than what someone could do through diet and supplementation. For example, nutritional ketosis will range from 1.5 – 5 mmol/L. It is actually quite hard to get to 5 mmol/L through diet and supplementation. Ketoacidosis ranges from 20-25+ mmol/L. That is 4-5 times more ketones than what most could do through super strict diet and supplementation. This form of ketoacidosis will NOT HAPPEN as long as you have a normal functioning pancreas and can produce any level of insulin. Even in these rare population groups that can get into ketoacidosis (uncontrolled diabetics), BHB can actually be helpful for these individuals if they are using their medical insulin as it will help the body become more efficient at using ketones as fuel. Not much is known about how ketones impact pregnancy and so we recommend against pregnant women from going on a strict ketogenic diet or using supplemental BHB. The major side effects are all involved with the stress that comes with switching from a sugar burner to a fat burner who is keto adapted. During this period, people have challenges with low blood sugar (hypoglycemia) and the bodies inefficient usage of ketones. The body takes time to adapt to the new stress of hypoglycemia and must create new enzymes to produce ketones faster and use them in the cells of the body. This lag time means that you may experience low energy, brain fog, bad breath, etc. This can typically last for 3-4 days and up to 2 weeks or so. The best way to skip this challenging phase is to use supplemental exogenous ketones. The side effect of taking too much exogenous ketones is that they can cause digestive distress if taking too many too quickly. If you notice digestive distress, take less. I would recommend going with a ¼ scoop for a few days and see how you do. If you do well, then go up to ½ scoop and eventually progress up to ¾ scoop and 1 full scoop. There are many companies who produce exogenous ketones and they can differ based on raw ingredients used as well as fillers and sweeteners. Many forms are using a sugar alcohols such as erythritol as a main sweetener. The problem with erythritol is that it can disturb the gut microbiome and contribute to digestive problems. When people react poorly to exogenous ketone supplements, this is the first place I consider. This is why we use stevia, which is much more tolerable to the microbiome, as our sweetening agent. Stevia has significantly more natural anti-oxidants and other health benefits than erythritol. Additionally, for best results, BHB should be combined with MCT powder to help with slowing down the absorption rate. This will slow down the initial rush of ketones but increase the amount of time that BHB stays in the blood stream. This slow and steady production is much more in rhythm with the body’s natural production and will be much better tolerated. 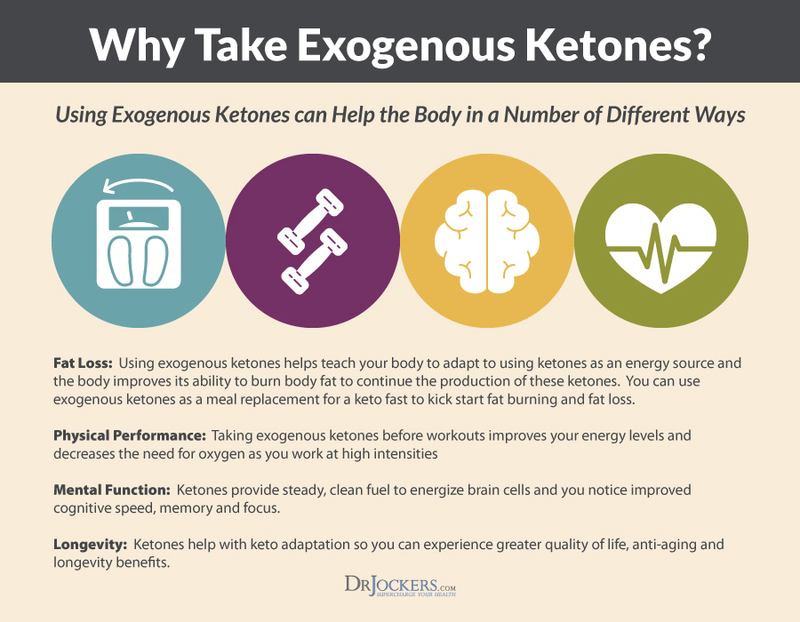 Exogenous ketones have a wide range of benefits that can enhance your fat-burning lifestyle. I personally use them daily as a strategy to heighten my mental performance and give my workouts an extra boost. For these purposes, I have also found it logical to combine exogenous ketones with other known health and performance boosting agents such as branched-chain amino acids and medicinal mushrooms. You could buy a slew of products and put together your perfect exogenous ketone performance stack, but for me personally, I like keeping things practical. I noticed there was not much available that matched what I was looking for, so I set out on my own formulation. Sunflower Lecithin to support healthy bile flow, brain and nervous system function. Amino Acids to support healthy muscles and energy production. 6 different superfood mushrooms in a patented form called Peak O2. This blend has demonstrated to boost physical power across a wide spectrum of athletic endeavors. These mushrooms have also been shown to improve the immune system, help the body adapt to the destructive impact of stress and improve brain and nervous system health. KetoEdge is designed to be convenient and effective for promoting ketosis. Not only does it promote ketosis, but it also offers a variety of performance boosting compounds that take the benefits of e ketogenic lifestyle to the next level. If you are following a ketogenic diet for its therapeutic benefits, KetoEdge is comprehensive support to maximize your success. We are currently offering $30 off and free shipping in the US. Just use the coupon code DrJKetoEdge2018 at checkout! Would this be helpful for someone with Hypothyroidism and HPA Axis dysfunction? I started a Keto/IF lifestyle after watching your videos early July and though I feel so much better inflammation wise, I am not seeming to be super fat adaptive as of yet. Would KetoEdge stress out my body with these things going on? I’d love to try it but want to make sure first. I think it would be great for you Amanda! That along with Adapt-Strong would be great adrenal support and would help make ketosis easier on the body.